Add 1 tsp of oil to another pan. Add ginger garlic paste and sauté for 30 seconds. 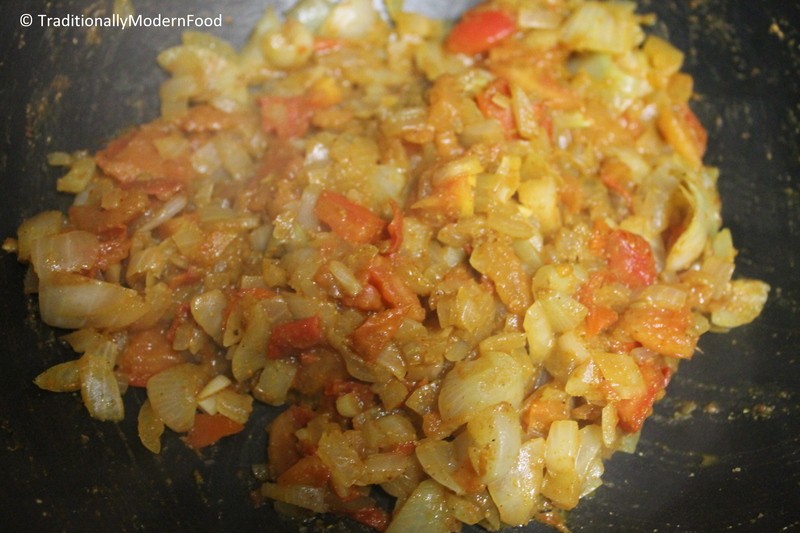 Add onions and saute till onions are cooked, and add tomato after the onions are cooked. 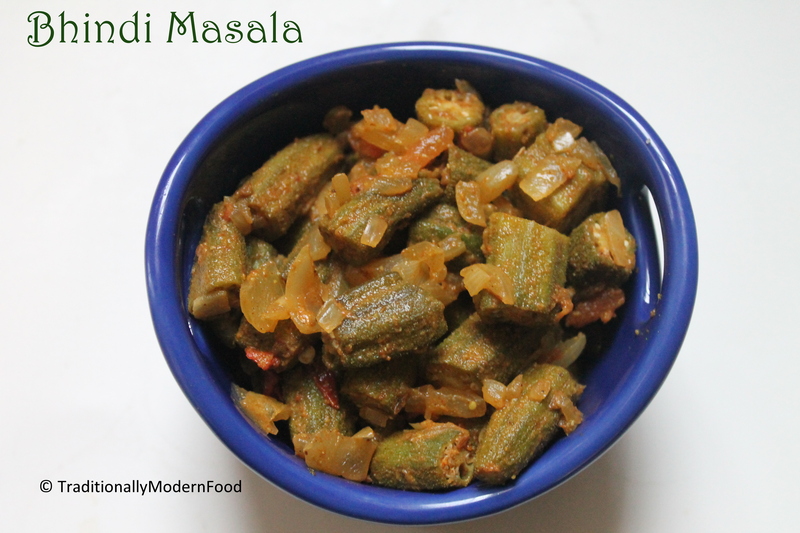 If you need Bhindi masala as a gravy, add the required amount of water. To get crispy okra, wipe the okra dry before cooking. If you do not have time to wipe it dry, keeping it in the microwave for a minute would help. Mmm, this looks so great! I’ve been looking for recipes for Okra. I am glad you’ve posted this one. I will try it next week! thanks! This looks great, thanks for sharing your recipe! I’m a fan of okra but I’ve never cooked it at home. I feel inspired! 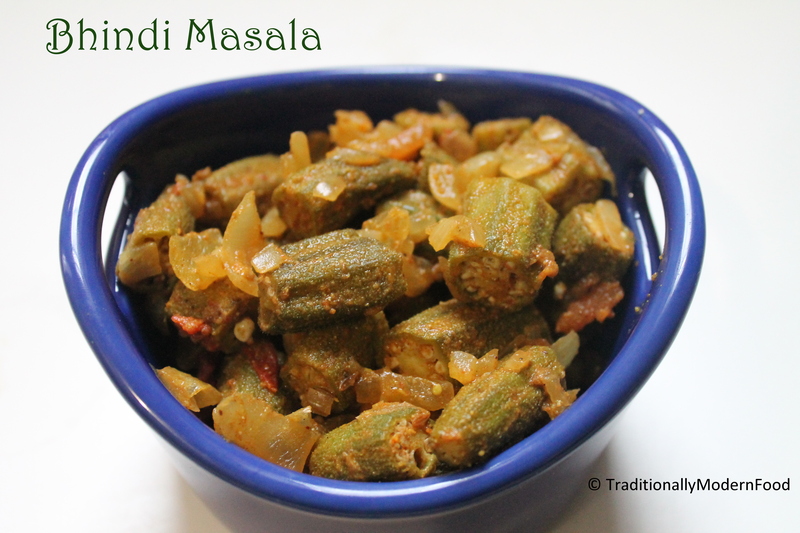 Lady finger masala with a nice twist…like it! Yum, they look fantastic. Your notes are useful too. 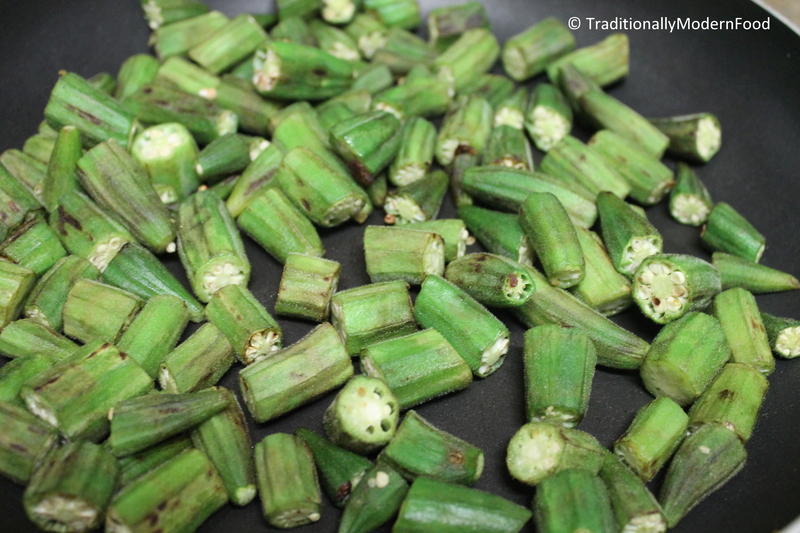 It’s true, the okra we get outside India turn out mushy if not dried. I never had the chance to try this, however it looks good. I love okra, but have never seen it made quite like this. Worth a try! Ah, okra, an old forgotten friend! Great dish! I love okra, so this sounds great to me! what is pav bhaji masala? Just curious to know the type of spice? Is it a trade name ? I bought a “Shan” powder today. havent used it yet. Thanks for your help. My favourite veggie!! Love the dish too!! 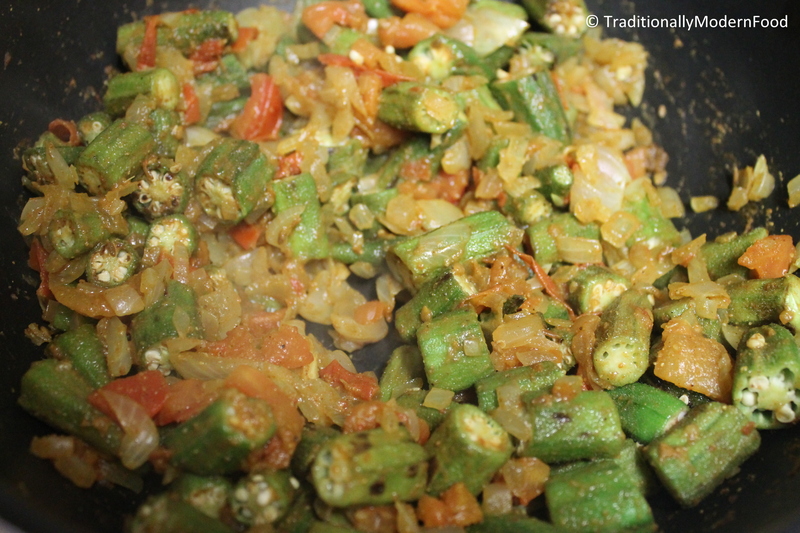 Love okra and this is a wonderful dish, love the spice combination you used here. Great tips!